Blocked drains are a dime a dozen throughout the Red Deer area. Every residential or commercial property around your community has its own quirks and needs. Whatever their style, each property has an eavestrough. These drainage systems are designed to keep your space dry by directing rainfall and snow melt to where you want it. This sounds great but this system can’t work unless it is clean and clear of debris. 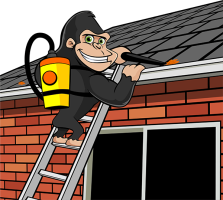 Our Red Deer gutter cleaning is the last word on clean for your property. Every day, Alberta residents hit the heights around their properties in order to clean out their gutters. It seems easy enough, doesn’t it? Position ladder, make the ascent, and scoop out gutter build up. It might seem easy on paper, but proper execution of your Red Deer gutter removal is an art form. Without the proper tools and experience, DIY gutter cleaning can do more harm than good. Putting weight on the wrong spots around your space can damage the system itself. When you choose outside help for your Red Deer eavestrough cleaning , you are getting the best and doing it safely and efficiently. By-hand removal can often take care of larger materials but it does not do much for the smaller debris or ‘foundation layer’. This foundation is made up of small and heavy materials such as dirt build up, needles and smaller sticks. These materials catch and hold other debris, creating a build up. 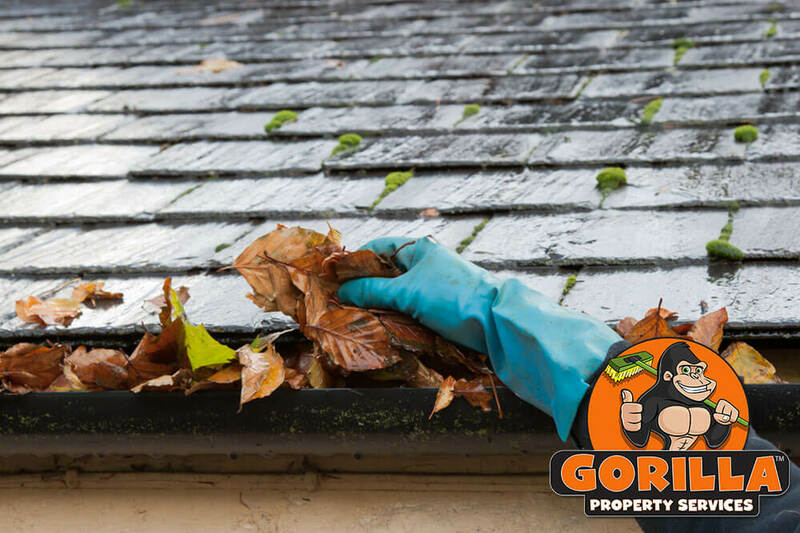 In the same way that dirt is left behind when you use a dustpan, your eavestrough is never completely clean – until you call a Gorilla, that is! It is for this reason that our Gorillas work from the bottom up! Proper Red Deer gutter cleaning begins with the right tools. High-powered vacuums are used to clear away any and all debris, giving water a clear path to travel through. In fact, we test them! No job is considered complete until your system is functioning at full capacity and to your satisfaction.